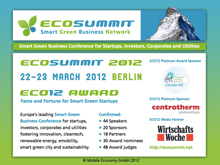 Archive for tag "ECO12 Award"
Ecosummit 2012, our third international Smart Green Business Conference for startups, VCs, corporates and utilities, makes fantastic progress: We confirmed 36 speakers, 15 sponsors, 18 partners, 45 jury members and 24 award nominees. New ECO12 Media Partner is the leading German business weekly Wirtschaftswoche. 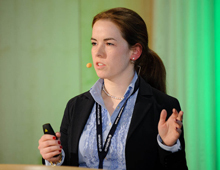 ClimatePartner sponsors our carbon offset to make ECO12 climate neutral. 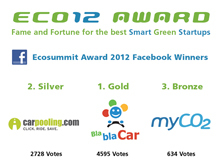 5 startups are ECO12 Silver Sponsors and join our startup demo area. And we signed the Berlin-based electronic a capella band Laing to play live at the ECO12 Award party on 22 March. 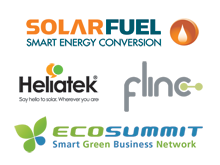 Many good reasons to buy your ticket or (re)consider sponsoring our Smart Green Business Network and Conference. 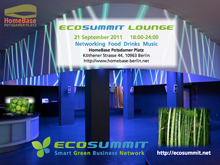 It is our pleasure to invite you to Ecosummit 2012. 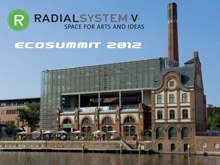 ECO12 is our third international Smart Green Business Conference and takes place on 22-23 March 2012 in the beautiful Radialsystem in Berlin. 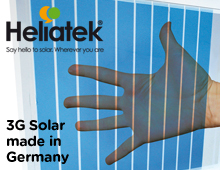 We bring together startups, VCs, corporates and utilities fostering cleantech, renewable energy, emobility, smart green city and sustainability. We expect 400 participants and have already confirmed 26 speakers, 10 sponsors, 15 partners, 45 jury members and 17 award nominees. 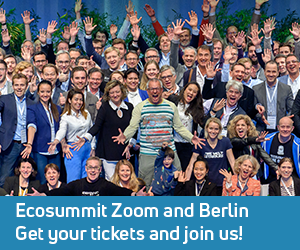 The next 2.5 months are going to be super exciting and you should join us in Berlin for our annual climax – ECO12. Ecosummit 2012 (ECO12) takes place on 22-23 March 2012 in Berlin in the beautiful Radialsystem, the perfect location for networking, accelerating new deals and enjoying the smart green capital of Europe. ECO12 brings together startups, VCs, corporates and utilities and fosters cleantech, renewable energy, emobility, smart green city and sustainability. ECO12 expects 400 participants and offers promising startups two extraordinary opportunities to win fame and fortune in our ecosystem. 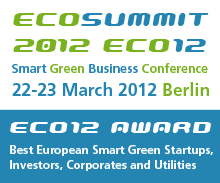 All startups are invited to apply for our ECO12 Award while those fund raising in 2012 can also apply for an investor pitch.